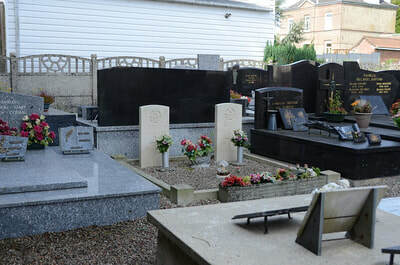 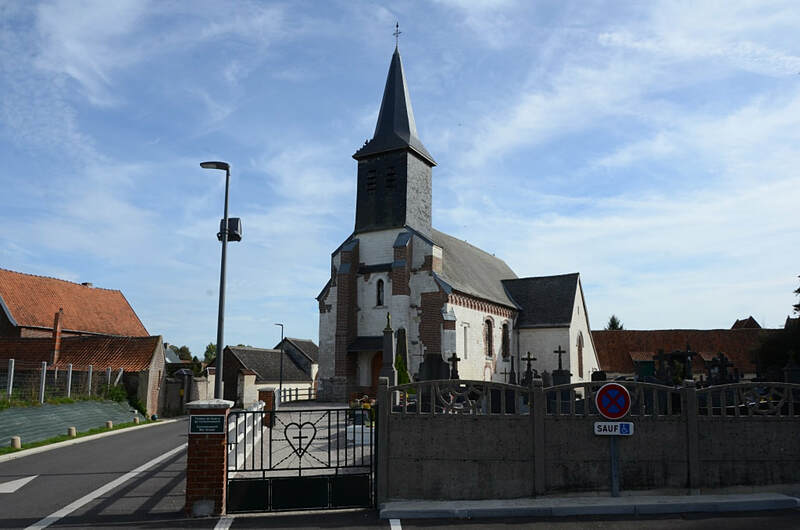 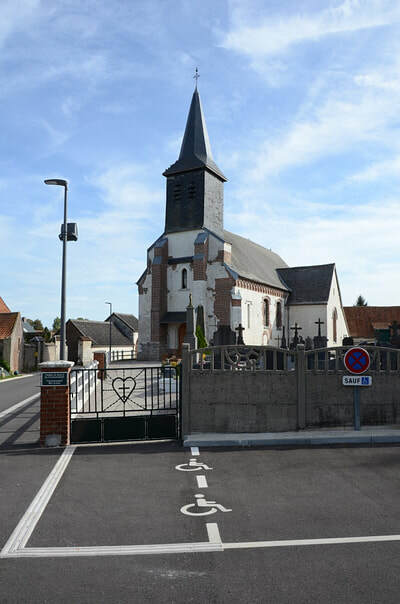 Monchy Breton is a small village in the department of Pas-de-Calais, some 35 kilometres north-west of Arras. Take the N39 Arras-St Pol; at Tincques turn right in the direction of Chelers, Monchy Breton. The churchyard is in the centre of the village. 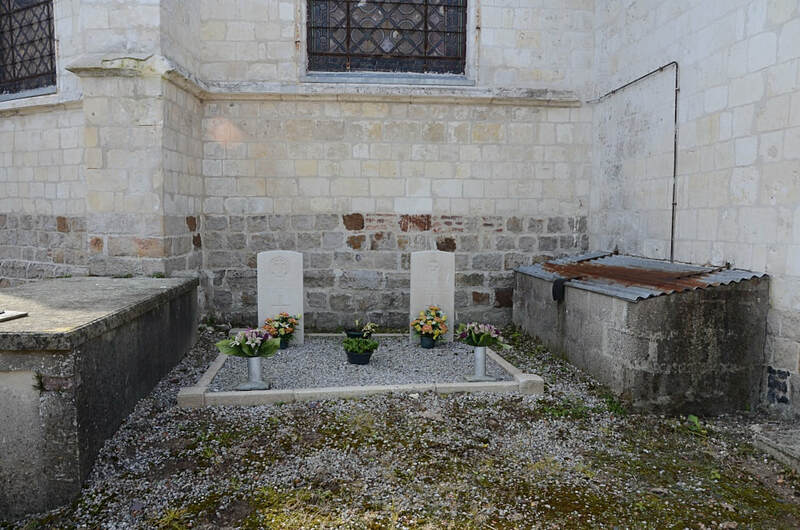 One plot is in the north-west part of the churchyard against the church wall, and the second plot is in the south-west part. 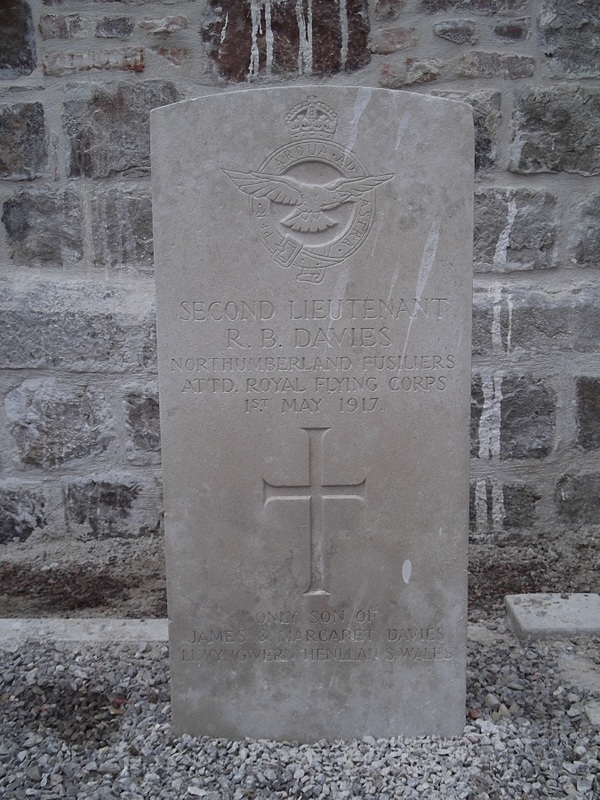 Second Lieutenant Rhys Beynon Davies, Royal Flying Corps and 4th Bn. 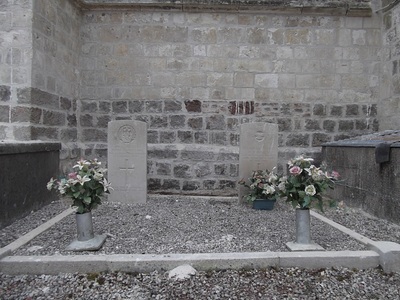 Northumberland Fusiliers, died 1st May 1917, aged 20. 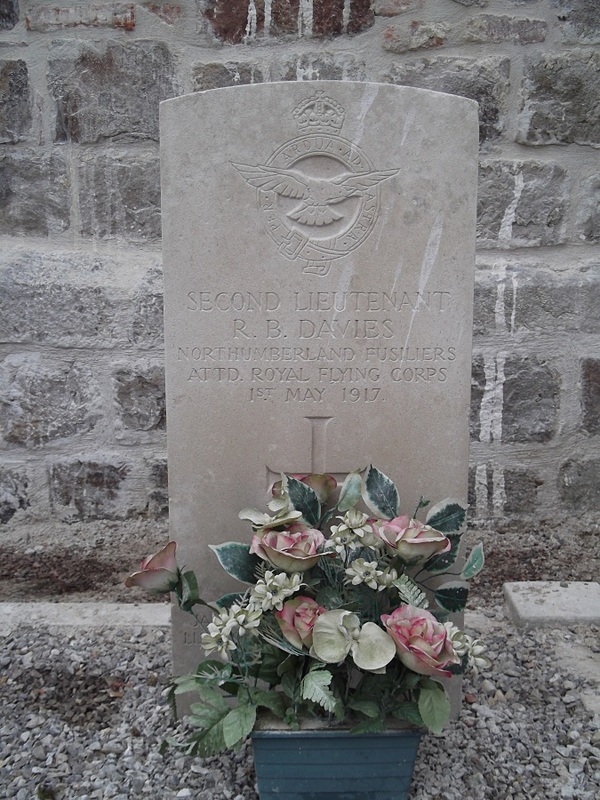 Son of James and Margaret Davies, of Llwyngwern, Henllan, Cardiganshire. 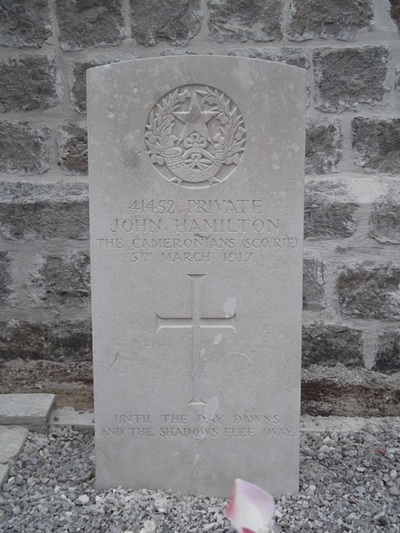 41452 Private John Hamilton, 9th Bn. 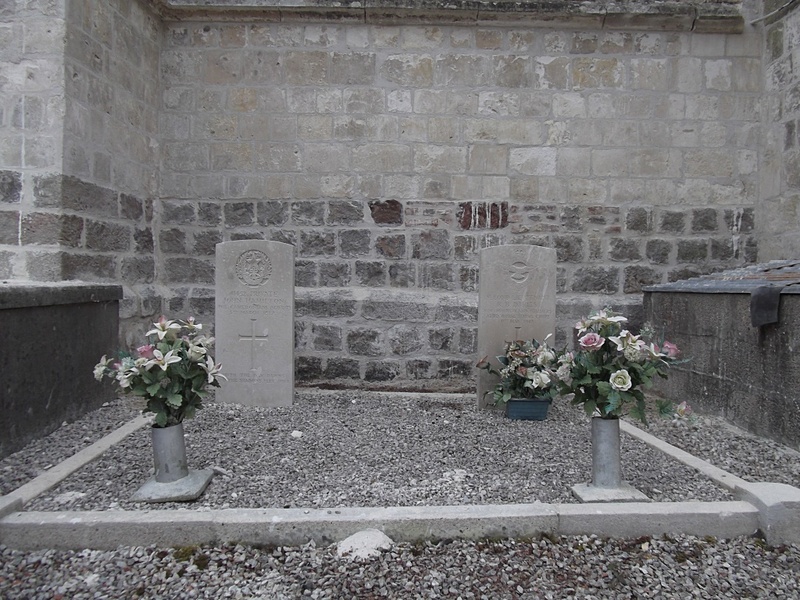 Cameronians (Scottish Rifles), died 5th March 1917, aged 19. 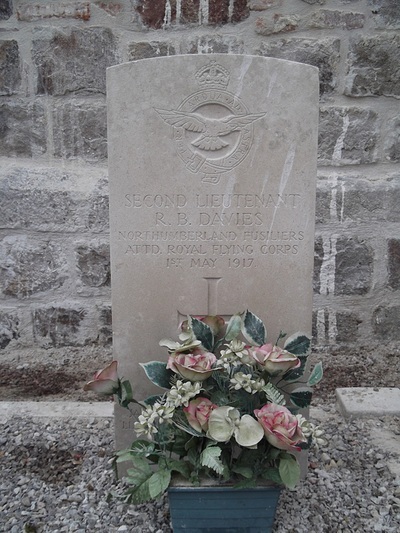 Son of Mr. and Mrs. W. B. Hamilton, of Sweethope Farm, Bothwell, Lanarkshire. Native of Hamilton. 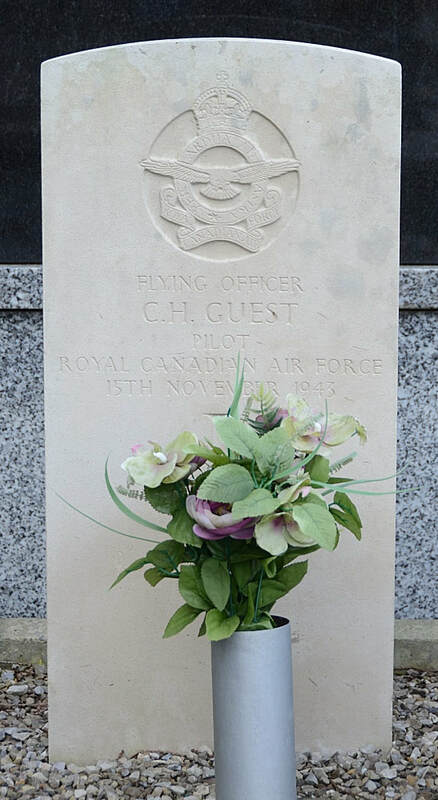 J/16807 Flying Officer Charles Hugh Guest, Pilot in 139 Squadron, Royal Canadian Air Force, died 15th November 1943. 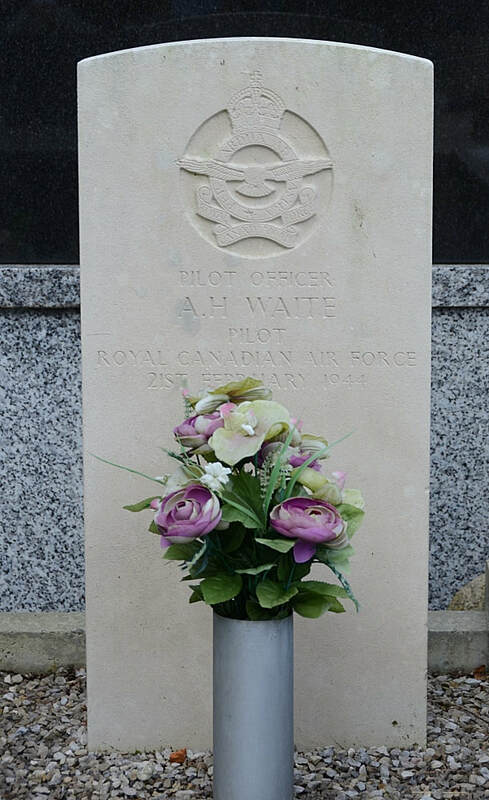 J/87659 Pilot Officer Allan Halford Waite, Pilot in 425 Squadron, Royal Canadian Air Force, died 21st February 1944.